Another fantastic activity that we did this week was the making of waterfalls and river. 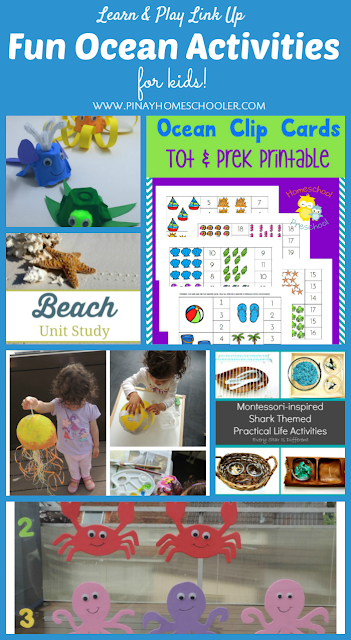 We're having Ocean themed activities soon so I'm featuring these amazing posts from our last week's link up for inspiration! This was a simple and easy to setup activity for Vito. Looks simple but he loves doing this over and over again! We started our Bodies of Water Unit last week and Mavi wants to do some more activities again and look what he made for his little brother! I decided that for our Light and Shadow Unit, we’ll explore indoor and outdoor lights. We’re having simple activities for our Light and Shadow Unit. Since it’s been raining most of the time, we’re doing much of the activities indoors (much to my dismay). So probably, creating shadows under the sun has to wait, and shadows using torch will also have to wait since our sunset here is 10PM. We might redo this activity in September or October, when night time comes early so we can play with our torch and make shadows. It's link up time! 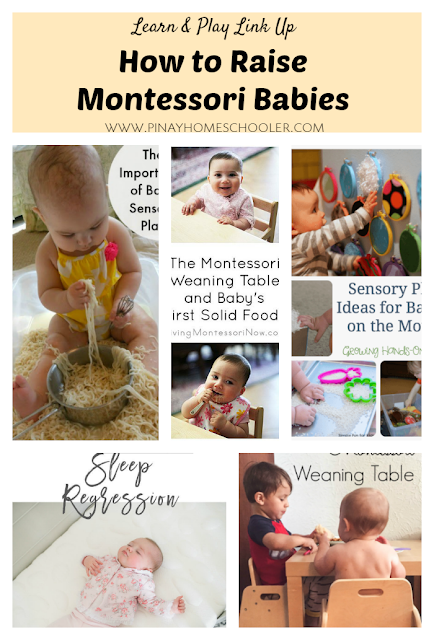 My featured posts for this week is all about Montessori babies! Here's how you can easily set-up activities for your little ones that are Montessori-friendly! I bought this amazing product when we went to the US last month. We have Magnatiles and we love it, but the problem is we can’t really make something more out of those squares and triangles. When I came across Stick N Stack in Amazon and read good reviews, I just needed to buy those beautiful window tiles and carts! And if you ask me, yes they work really well with Magnatiles! And since we’re having Transportation Unit, I made Vito create his own cart. Oh boy, he played with it for hours!! I asked Mavi to assist his little brother for awhile but later on left when he realized that Vito doesn’t want him for a playmate. Hi everyone, I’m sharing our types of cloud cards for free! Download your copy and hope you find this helpful when learning about the weather and clouds. The book that we are using is called Clouds Let's-Read-and-Find-Out Science 1 (AmazonUS) (Book Depository) and it is a very good book! More of it here. 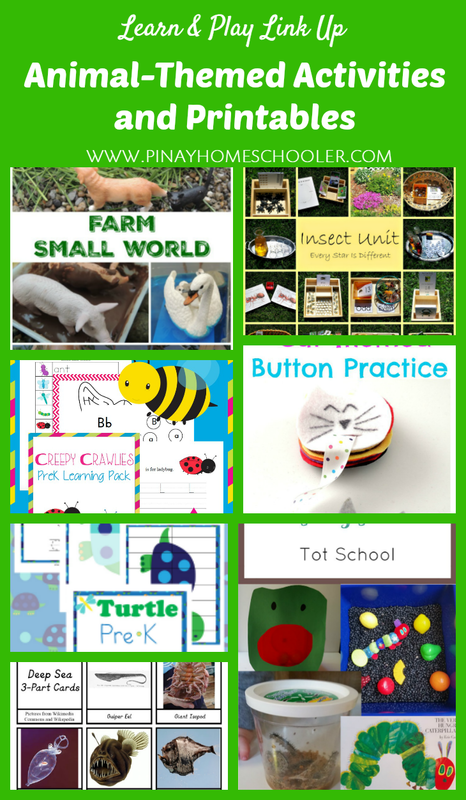 Vito and I will be doing animal activities soon and these featured posts from our link up last week are such an inspiration! 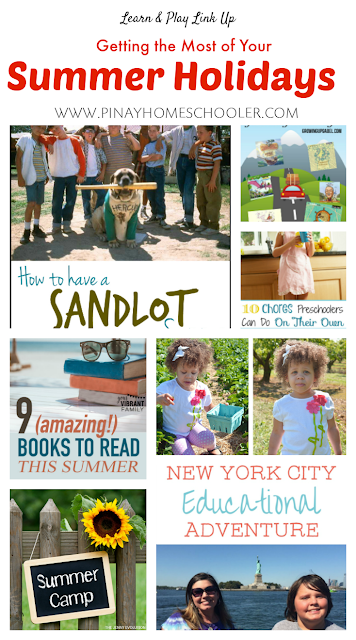 Checkout these wonderful Moms and their fantastic activities!